"The mission of the school library media program is to support students in becoming independent and effective users of ideas and information; to empower students to be critical thinkers, enthusiastic readers, skillful researchers, and ethical users of information; to support teachers and curriculum through collaboration; and to nurture a lifelong love of reading and learning." 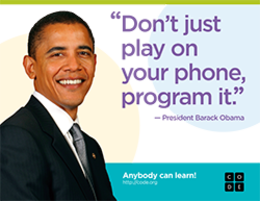 Barack Obama became the first US President to program a computer, to show that anybody can start learning computer science. 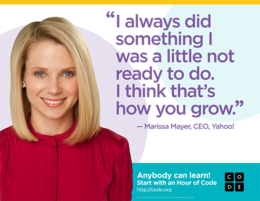 Please watch President Obama's video message to kick off the Hour of Code 2014. 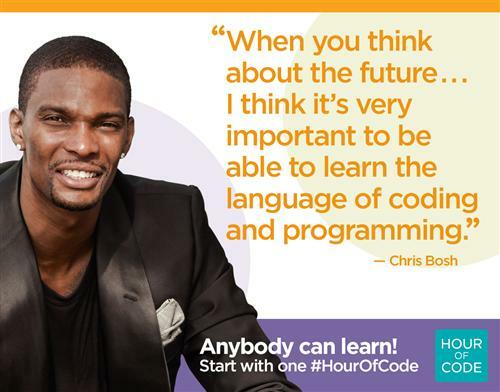 He urged every young person to learn more about how technology works.